Everyone has surely read about this scam right? What happens is a phone call unexpectedly comes into your home and a supposed representative from Microsoft tells you that there is an issue with your computer which they just received a notice about. They then typically ask you to turn on your computer and will give you some instructions to access a website and download a program that will fix the issue with your PC that they say you have. That download is usually a piece of malware or a form that you then fill out to provide personal information such as name, address, phone number, credit card, etc. They may also tell you that they need to charge your credit card so they can fix the problem for you. Once you submit that form to them they now have the information necessary to access personal accounts and make charges against your credit card. Like many of you, I have read the warnings about this type of scam in the past however, I have never known someone who actually received one of these calls. Well last night that changed as a good friend of my wife’s, whom I do some computer work for, received a phone call that was attempting this scam. It really is laughable ironically, my 89 year old dad received one of these calls and dad humoured them for a while, allowing them to explain their stuff, then gently informed them he didn't even own a computer in any way shape or form so how they received all these errors was beyond him. My daughter-in-law and I compared notes about this, that they always have a foreign language sound they must hope we can’t understand. Sounded like one claimed I’d paid $300 they wanted to refund, because they had a tech error. Obviously just wanted my info. Finally I hung up on him, and he called back and hung up on me, lol. But is there a legit “Team Viewer” that charges $229 for two years of tech protection? I have AOL’s Member Version of McAfee, and I believe that’s where I got a notice that a Facebook post had come from “another computer”, before I heard from Team Viewer. I receive these type calls all the time, from different numbers. I just tell them "Don't try to scam a computer tech and that since their number showed up on Caller ID, I am turning them into the local authorities and the Better Business Bureau." Takes all of 10 minutes, 5 for the authorities and 5 for the BBB. They don't call me back again. Got this call also. Wife answered and he started talking his BS and she just told him that I took care of the computers and hung up.So he calls back and I answer and he starts his BS on me , I told him there was nothing wrong with my computers and I hung up. He calls right back with an attitude and says"WILL YOU JUST LET ME DO MY JOB!". I came right back at him and said No I will not let you "F" me and he said "F" you and hung up. I so wanted to call him back. I had this happen to me less than two weeks after I got My Diploma in IT, as soon as the person gave me all this information I started to laugh, and asked the guy if he could get his Manager, a woman came to the phone and gave me the same rubbish that the gentleman gave me I then asked how it was possible for all this to go wrong with my PC and how could Microsoft security Essentials and other software protection programs, allow for this without flagging it up somewhere, he then changed his story to telling me that it was just errors in the system and he directed me to the error reporting logs , he described one service that was not starting as an error, I explained to the idiot that I had manipulated the Start up procedure to reduce the Start time as some services I did not need, before I had finished saying what I was saying he realised I was laughing my head of and he hung up lol. I keep a good and loud whistle beside my phone and simply give them a good blast of the whistle and then hang up. Seems to keep the roaches away better than Raid !! Happened to me to, a lot of times. Anyone dumb enough to fall for this should be on their own. Like ISBIT Vancouver, I too receive these calls, but now take my time and walk them through a conversation that I control and when I am bored of it I ask the guy if there is a wall close by and if there is, to walk over to it and bang his head on it, till it sinks in that he won’t get any of my information or access to my computer. the call ends and it is at least 6 months before the next one. I hate those fake callers with a passion. Surprise, surprise, all the calls originate from India. Bunch of parasites. I actually had one call me back after I told him to F-off and he abused me. I’d like to wring that guy’s neck. I have been receiving these calls for months. The Tech? is very insistent on correcting "my problem" even though I refuse to give info. Finally, just have to hang up. In the beginning, it did sound credible, as I do occasionally have "error messages" submitted to Microsoft. This Happened to me about a month or so ago. The Guy Say's they got my number from Microsoft Support web site and computer hackers where using my computer & I needed to give them 50.00 or so, I needed to download PC anywhere I actually believed at first then I was not going to pay (I told them, there was 2 or 3 ppl) and I did everything installed PC anywhere, & before my brain clicked. He was controlling my comp. but he threatened me if I did not pay he was going to lock my comp with a password.. he installed a password before I realized he was not Microsoft then disconnected the internet from my comp & he was still on the phone.. HE started cussing at me the final sec, on the ph. you mutherfather… I told him I'm not paying, I'll just reformat my comp. he lock my comp. no biggy to me. reformat. He had an Asian accent..
That happened to me two weeks ago. It just so happened that my 3 day old computer was blue screening and I sent a report to Microsoft via the automatic feedback app. The next day I got a call from a man who said he was from Microsoft's response center about my computer problem. He sent me to an official looking site and I gave him permission to remote access my computer. I could hear other people over my telephone talking in the background so it did sound like a call center to me. They took control of my computer and used DOS and showed me what they called viruses and hardware conflicts. He told me to restart my computer and it should be ok. Well the computer restarted, but the screen stayed black. The man told me to send $25 and they would restore my computer. By then I caught on and told him there was no way I would give a man like him a credit card number and he hung up. Fortunately, my computer came with a recovery disk and a couple of hours later it was working fine. We receive these call regularly and hang up – it's wearing thin now it happens so often. So how do we get these jerks to stop calling? I've received these calls twice. Last one on February 2nd from no. 0016075278800. Sounded like a Pakistani or Indian guy. Just told him to f*** off! and hung up. About 2 years ago I had a call from some one with an Indian accent that said they where from Microsoft. They asked for the master-code to my computer and I thanked them for the tracking info the police now have on their call. They never called me back that I know of. understand the person on the other end? Then he said hold on and Yelled Microsoft is on the phone I was like huh ? They called ! why ? I always enjoy their phone calls. Usually someone called Bob or Pete with a strong Indian accent. I try and see how long I can keep them on the line by playing extra dumb and saying that the computer is downstairs. Each time Bob gave an instruction I said I’d have to go down to the computer. 5 minutes later I’d come back and ask another question. I’ve managed to keep Bob on the phone for over 40 minutes before he gave up. Looking forward to another call. I am going to try for an hour. I got one of these SCAM calls you're talking about. I simply told the Jerk on the other end that I didn't have a computer. I know Microsoft doesn't make house calls. Hell, you can't even get ahold of anyone at Microsoft if you call (unless you want to pay for it.) Thanks for the heads up on these kind of issues. PCPITSTOP is great. I also got one of these Microsoft SCAM calls that you're talking about. I just simply told the jerk I didn't have a computer. I know Microsoft doesn't make house calls. 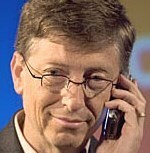 Hell, can't even get ahold of anyone at Microsoft if I call (unless you wan't to pay for it). Thanks for your great headsup on these type of issues. Wow, you have only just received one of these calls. We are WAY ahead of you here in Australia where I personally have received around 30 of these calls. Many of my customers (I run a 1 man IT support business) have received them and I have cleaned out 15 or so PC AFTER people have let these blood sucking leeches into their systems. The scam works – no wonder it is alive and well and picking up momentum! Jail is a good place for these idiots. The original ones had their bank account frozen, lets try again Microsoft and law enforcements. my mother had one last week…she hasn't got a PC. That's funny…received one yesterday afternoon. Sounded East Asian. Hysterical! I have told telemarketers that the person they want has died then they asked if I was interested in whatever… this would be a great stunt to pull on a scammer. Actually got one of these scam calls yesterday from "Windows Support." Our talk was quite short. Well number one Microsoft wouldn't be calling someone for anything so that would be a huge clue for me right there. I can imagine how some less savvy people would fall for it if they don't know any better though. I actually let them into my computer. They took control and told me they fixed all the issues. The next day my computer was acting up and I called them. They wanted double to fix it. I hung up on them, got my money back through paypal, and hopefully cleaned my computer of all traces of them. Don’t know where you live, but in Vancouver I don’t know anyone who HASN’T got these calls. We now look forward to them and entertain ourselves giving these idiots the run-around. Our best ever is 30 minutes before they just hung up.